The best food to be found during the Gala could be found in the Dance Hall. Twilight had spent time reviewing the flow of previous Galas as well as the dining habits and food consumption compared to waste of previous events and found that the high and mighty who had dominated the years prior had done little to no eating during the event, and that for the most part the Gala was a devastating event in terms of waste. So, under protest from several backward thinking aides, she had axed food from the Grand Ballrom aside from simple waiter-bound treats and moved the catering service to the dance hall, where it was expanded with the assumption that everypony who would have an appetite worthy of it would find the Dance Hall a more amiable location. Plus Twilight figured that the flow of the party would be best served in it's greatly increased capacity to keep away from interfering with the Grand Ballroom. Twilight had been a busy Princess thus far, shaking many hooves and greeting many ponies both great and small. Luckily for her it had gone well enough that no disasters had taken her and after a while, she had been able to retire from that activity an get involved in the party proper. She had made a short stop in her own quarters to change out of her Royal Gala Dress to a simpler ensemble, baby blue dress without the excessive ruffles and padding and four shining white horseshoes and tiara left on mostly to remind her that, yes, she was still a Princess with Princess duties should the need arise. It didn't hurt that it looked pretty. She made her back down and into the Dance Hall, where the Gala was at it's liveliest if still not as mad as one might fear. Making her way as stealthily as she could- which wasn't very- she made a beeline for the catering. Royal duties gave her a royal hunger! Not quite looking where she was going through all the sights and sounds of the Gala - which wasn't a very smart move considering the croud- Jade Blossom made her way through the dance hall to find some good eats. On the way to a table sporting what looked to be some delicious appetizers, she bumped into somepony, although lightly. It startled her out of her hungered thoughts and she apologized, "O-oh, I'm so sorry, I--"
She looked at the pony she'd bumped. Purple coat and mane with pink highlights, a horn and... wings! This was one of the princesses! "O-oh my gosh I'm so sorry your highness!!" She exlaimed, bowing, "Excuse me..." She said. Jade was no good around persons of importance, and was now pretty flustered at her own mistake. The Grand Galloping Gala! Derpy Hooves had never attended the Gala before, and she had been convinced that she’d never get into one during her lifetime. Like many of the ponies in the town of Ponyville, the googly-eyed pegasus dreamed of what it’d be like at the most prestigious function in all of Equestria. Derpy could have pictured it in her mind: it would be like that MareCon thingy QuickLime pulled off, but one-hundred times bigger! And with tons of tasty exotic food lying about like cakes, jello, chocolates; all the sweetest desserts made by the best chefs in the world!!! Like any other mare with dreams of the Grand Galloping Gala, Miss Hooves resolved to make an appearance this year upon the announcement that everypony was invited. The young mare exhibited due diligence in making formal attire for herself. Her end result surprisingly wasn’t half-bad, even if the pegasus suffered numerous sewing injuries in the process; a simple flowing green gown decorated with images of bubbles, bubbles like the one making up Derpy’s cutie mark. The dress overall was too basic to win any fashion awards, but the one-time dressmaker loved her work all the same. Walking towards the buffet tables are two odd looking Earth ponies. Mr Waddle, who are already very familiar with the social scene in Canterlot, and his friend Pigpen, who is visiting Canterlot and the royal castle for the first time. "My Mr. Pigpen! Look at all these lovely decorations!" "Very fancy indeed! Can't thank you enough for riding with me to Canterlot. You'd be surprised at the number of ponies who refuse to step into a carriage with me." "Oh my! Look over there! It's Princess Twilight Sparkle! We must introduce ourselves to her!" "And there's Miss Derpy Hooves! She always looks so lovely," Pigpen said as the two friends went their separate ways. The smelly, unkempt stallion walked over to the blonde Pegasus mare. "Hello there Miss Hooves! Remember me from Ponyville? I'm Pigpen, the city's Sanatation Engineer! You are always tossing out the most interesting garbage!" "Princess Twilight Sparkle!" Mr Waddle shouted as the elderly stallion made his way to her, bowing first before continuing his conversation. "I'm Mr. Waddle. Remember me from the last Royal Wedding? How is your brother enjoying married life? How are you doing now that you're a Royal Princess?" Twilight was bigger than she used to be, so somepony bumping into her wasn't necessarily the most shocking thing. And as a Princess, the excessive amount of apologies she heard were simply par for the course. Jade Blossom apologized and bowed, and Twilight simply levitated a cookie and took a big bite. "It's okay, no need to bow. Or apologize, for that matter. There are a lot of ponies here! My name is Twilight Sparkle, so nice to meet you. And you are...?" She offered her hoof to the bowing mare. As she did so, she could feel muffin crumbs slowly but surely starting to cake the side of her face as Derpy spoke. Her horn lit almost imperceptibly and she pulled the crumbs off as she turned her head in place, closing her eyes suddenly as more crumbs attacked her. "Ah, hey Derpy. Glad to see you're enjoying the food!" She said with a smile, levitating the cookie back to her and taking a bite as Derpy was annihilating her poor muffin. It was a good day for treats! As that finished, Pigpen started to hit on Derpy using sanitation and Mr. Waddle grabbed Twilight's attention. The Princess nodded. "Please rise. My brother us doing just fine, I think. I don't know how he has transitioned his role so seamlessly but I guess married life is no different than being in the Guard! As for me...it's going well, I think at least. Still have much to learn." Sweet Surprise entered the dance hall dressed in a bubblegum pink dress that was accented with all manner of candies. Even her mane and tail contained peppermints, gumdrops, candy corn, and all other confectionery treats. "Wow! This dress makes me look good enough to eat," she said, "Er... I hope nopony does that though like that time that a colt took a bite of my tail because he thought it was actually chocolate." With that the Earth Pony grabbed her tail and held it as if in anticipation that it would happen again. She then shrugged and let it go as she made her way to the food table. And what a spread it was! There was every food imaginable from little sandwiches to salads, to bowls of fruit. And the deserts, oh the deserts! Sweet Surprise couldn't remember seeing so many treats. It reminded her of a book she once read called The Hungry Games where ponies competed to see who could eat the most before passing out. For some in that story, the odds weren't ever in their favor. As she grabbed her plate and started building a pyramid of food she saw there was some ponies enjoying their food including a certain lavender Princess! "Thello Pwinceth Thilight Tharkle," Sweet said with a bow before realizing she had some food in her mouth and upon swallowing tried again, "Oops sorry... hello Princess Twilight Sparkle!" It wasn't hard for Timid to make it to the Gala. He had traveled by train and spent the evening at Hoofburgh House, grateful to the kindness of Polaris since they met at the CRPR event. The thin golden unicorn colt strode into the Dance Hall, already getting a little nervous as he noticed all the ponies already on the dance floor. However he spotted Sweet Surprise meeting with another princess next to the catering table. He grinned and smiled, it being Twilight Sparkle not quite registering in his mind. "Oh boy, Sweet and treats! ", he exclaimed, pausing to check his mane and tail. Satisfied that they were still combed and presentable, he pressed onward. He kept to the fringes of the room, where there were fewer ponies on his way to the food tables. Soon enough he was near enough to realize that it was in actuality Twilight Sparkle at the food table and not who he thought it was. But he didn't mind one but as he checked his attire for any crumbs or liquids. The finely crafted suit was a little stuffy for his liking but it was sent to him by his family. He had decided to wear it at least once before he might outgrow it. It was a soft shade of ocean, with a tie the shade of an island sunset. He settled in beside Sweet Surprise and gently levitated a plate with a cookie on it to him, smiling warmly. "Hello, Sweet and Princess Twilight Sparkle. Hope I'm not intruding. ", he said softly, bowing and gazing up at Twilight, hazel eyes filled with excitement. The Gala! The Gala! The Gala! The Gala! Pinkie Pie was back again! Okay, so the last time was a big disaster, but she was determined to make things more awesome than last time. Less sterile than last time. More fun than last time. She was sure they would be ready for her, and she would be ready for them. As a Pastry Mare, she was dedicated to reducing waste as a paradigm of her personal business -- which meant she was pretty much reusing her beautiful, lovely, oh-so-amazing dress that Rarity had sown for her for the last Gala. The only difference was she had several locks of her poofy mane braided, and fastened with the blue-and-white striped bows that were a large part of her ensemble. Her hoofshoes were polished to a glossy sheen, brighty of brightest pink; the ruffles of her candy corn and lollipop gown lace pressed neat and prim to the hem of her pink gown. She had added a few lollipops to her fashionable cerulean hat, tied with satin sky-blue ribbon. She even slathered on a bit of blue eyeshadow to give her features a deeper look. All of her prim serenity, however, was lost as she skid across the refreshment table on her knees, knocking over several punch bowls. She threw her hooves in the air, screaming at the top of her voice: "TWILIGHT! THE GALA! AGAIN! RIGHT NOW! Ohmigosh, ohmigosh! We have so much to do, so, so, so much! I've got the setup for mareoke later, and we'll definitely have to have a big ravey rave later! I think I have Vinyl stashed around here somewhere!" Pinkie examined several folds of her dress, wondering if she might be keeping her there. "Hum! Maybe she's in my other dress!" The excitable pink mare crammed several cupcakes in her face, backflipping off the table to give random hugs to whatever attendees were within reach. She eventually made her way to Twilight, wiping several different types of frosting off her grinning face. "Are you having fun yet?! Cause the fun is just getting started!" Jade accepted the helping hoof and flushed, "How are you enjoying the Gala so far, you're highness?" Jade asked, deciding to change subject, "I myself was just enjoying the wide range of flora in the gardens." She smiled, hoping her nevousness didn't creep through it, as taken aback as she was by being hugged by a hyperactive pink mare. She couldn't help but note that the manners of some of these mares and stallions wasn't quite up to par. Managing to ignore it and keep her smile she set her mind on making as many new aquainances as she could. As other ponies crowded around Princess Twi, Mr, Waddle was very impressed with her answer to his questions. "You are indeed very wise, Princess! As a great pony philosopher, Socracolt, once said, 'Questions are the beginning of wisdom,' and the fact that you realize you are still learning is a good sign that you are already a wonderful leader!" the elderly stallion neighed. "How is life here at the castle? I hope you get to see your friends..."
As Mr. Waddle spoke, Pinkie Pie rushed over to the Princess. 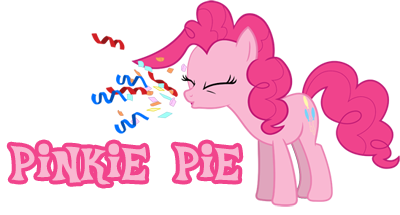 "Miss Pinkie Pie! How are you today? I can see you are your bubbly, happy self! You're an inspiration to us all!" As Pigpen waited for a response from Derpy Hooves, by now his pungent odor was starting to fill the room. Unaware of his smell, the unkempt stallion patiently waited for the familiar Pegasus mare to speak to him. He did turn to briefly wave at Pinkie Pie, another pony he recognized. Pigpen didn't quite recognize Twilight, since she was a little larger, had wings and was dressed like royalty. Having greeted her hometown princess, Derpy Hooves turned her head the other way as she smelt a rather odd stench of garbage coming from that direction. There were only two times when Derpy experienced that nauseating scent: whenever she dropped off garbage at the Ponyville Dump, and anytime she talked to the sanitation stallion Pigpen… which upon further reflection, always happened at the local dump. Except for this instance, as here Pigpen was at the Grand Galloping Gala; unkemptness at all. Not even a scatterbrained mare like Derpy could withstand the horrid smell for long. Bringing in a hoof to close up her nose, the pegasus with the googly eyes told Pigpen; “Nah, I’m there’s nothing interesting about my trash… but thanks for the compliment!” In fact, Miss Hooves couldn’t even understand what could be so interesting about trash period, nevermind that old saying about somepony’s junk being someone else’s treasure. How could anyone care for something like a banana peel or a moldy piece of bread? Ah, the Grand Galloping Gala. Here it was again at last. Due to the massive sale she had been orchestrating and holding in the days prior to the gala, she had almost stopped thinking about the event itself, but now that it was here she was nothing but glad for it. While her previous gala experience was not what she could call a good one thanks to a certain royal pain, this year was sure to be different. Twilight and Celestia had reorganized the event into something more welcoming and fun for everyone. Sure, it meant the gala was no longer quite the elegant event for the elitist elite as it had been, but Rarity felt it was probably for the best, and not just because of all the business it had generated for Carousel Boutique. All the same, Rarity had mostly been spending her time in the formal ballroom, mingling with the elite ponies and showing off her luxurious and elegant new deep violet, gem studded gown. However, as hunger set in, she decided it was probably about time to meet up with her friends and see how their evening had gone thus far. Entering the dance hall, Rarity immediately spotted two of her dearest friends, Pinkie and Twilight at the catering table. The infamous Derpy was there as well, along with a few other somewhat familiar faces from Ponyville. "Hello there girls, I trust your gala experiences thus far have been as rewarding as mine?" she started as she approached her friends. Looking out across the catering table, she nodded. "Ooh, so what do we have to ease our hunger tonight..." she said, before grabbing a slice of cake. "Ooh, this looks absolutely heavenly!" she said before taking a few bites. 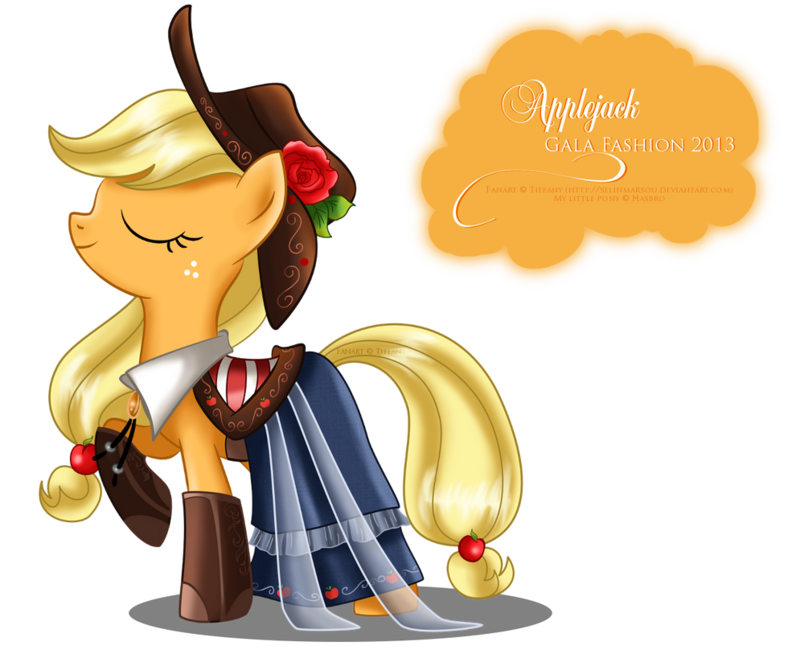 Applejack was so thrilled to bring her business back to the Gala. After her horrible experience trying to drum up business for the farm back home in Ponyville, Applejack figured it was always going to be a lost cause and that the gala should never be treated anything more than a social event for the upper crust ponies that live in Canterlot and other cities. To get an invitation implied that you were direct friends with a Princess, or that you had a friend who had a friend who knew someone who lives with another who works as one of Celestia's many guards. And that usually meant you could find a way to get a ticket, if you held your cards right. But what? No more invitations? Open to the general public? The best night ever just got even better. And Applejack wasn't stupid. She knew that this changed everything, and bringing food to sell at the Gala would make a lot more sense with a broader audience of ponies, several of which she already served on a regular basis. So this gala, she decided to do just that, and her apples and Granny's home cooking became a staple for a lot of the confectionery that was presented in the dance hall. But here, instead of it being such a hassle to micromanage sales across several ponies and never getting a chance to mingle, the catering was paid in full from the start, so all the food laid out was complimentary to whichever ponies decided to grab a bite. And Applejack also knew, that with this many ponies, with this much dance space, meant a lot of ponies working up an appetite. They made several layers of back-stock as to not run out. "Isn't this great, Twilight!? Moving all the fancy vittles out and replacing them with a hootenanny of a food bar sure was a great idea for the gala! I wonder who I have to thank for that." Applejack smirked and nudged Twilight with her hoof. "You should try some of the snacks. Some of them are brand new creations some of the kitchen crew came up with just for this event." Applejack brought a friend of hers to the gala. Of course, she knew he would have probably come anyway without her asking. But Applejack wanted to spend more time with the stallion, as they had become really close friends over the past few months. And she would want to be by his side when they met all the farming ponies that attend the gala this year, as there would be loads of fun quirky farming conversations and stories. "Twilight, you remember Carrot Fields, rot?" Applejack tugged on Carrot's clothes. Applejack noticed Pinkie in her peripheral vision, bouncing happily as the pink mare would at a time like this. Pinkie had mentioned in passing about Vinyl being located somewhere in her dress. Applejack raised an eyebrow with a puzzled look at the always-confusing earth pony. "You... keep a DJ in your dress?" Pigpen took getting the 'brush-off' from Derpy fairly well, understanding the gray Pegasus' rather random behavior. Spotting AppleJack and Rarity, the excited unkempt stallion trotted over to them and smiled. "Good evening Miss Rarity, you are looking as stylish as ever! Miss AppleJack, it's always a pleasure to see you! How's your family? Granny Smith hasn't been by my Antique Shoppe for the past week, is she feeling well?" As Mr. Waddle waited for a reply from Pinkie Pie, more of her friends gathered around the Princess. Soon, the elderly stallion felt a bit crowded, but he still wanted to be socialable. "Miss Rairty! Miss AppleJack! Delighted to see you both!" Mr Waddle said, only now beginning to notice the stentch in the air due to his shaggy friend. The elderly stallion continued to smile politely, hoping none of the other ponies noticed the growing strength of Pigpen's odors. Sweet's ears perked up when she heard her name. Of course it could have been somepony commenting on the sweet desserts. She turned to see a familiar unicorn approaching. She remembered him from a while ago when Sweet happened to meet Princess Cadence as a gathering. "Oh hi there Timid," she said giving the colt a light hug, "How are you doing? Been a while since we last met huh? You should drop by my store. I have those Superchocolatyfabulisciousextraawesome Fudge! Oh, actually I brought some here, but I see there's enough food here." She then saw another familiar pony, a funny grey Pegasus. "Oh hey, I remember you! You were from that mares only convention. Your name is Derpy, isn't it? Well i'm proud to say that I bought out the novelty store's entire stock of those glowy things for the night." It was then a very energetic pink pony suddenly jumped on the table as she began talking to Princess Twilight as if they were friends while mentioning something about a DJ in her dress. "Tehee," Sweet Surprise giggled at the young mare's introduction, "Looks like you're ready for the fun! I'm Sweet Surprise by the way, candy confectioner extraordinaire and participant of parties!" Two mare then appeared, both looking like they knew the Princess. "Oh wow, your dresses are amazing! Nice to meet you two too! Twilight smiled as Sweet Surprise couldn't even swallow her food before saying hi. This event was certainly something of a huge event for everypony, but for a filly it must have been off the charts exciting and she seemed to be taking in all of the benefits that had been applied to this Gala as opposed to the earlier ones. It made Twilight very happy to see that her arrangements were working for ponies both big and small. "Hello, Surprise. I see you're having a good time! How are your parents?" Twilight asked, levitating her cookie, eating it, and deftly destroying Derpy's dastardly crumb attacks as she continued chowing down, Timid Star appearing and confirming what she had believed about the validity of this year's format. For sure, she'd have to repeat it if so many ponies no matter the age or lifestyle enjoyed it. "Of course not, Timid. Enjoying the Gala?" Twilight asked Timid as Mystik responded. A well spoken one, this pony. One of the many ponies who seemed to be very well educated that she had met so far, but few were as unknown to her as this one. "I am enjoying it much more than I enjoyed my first one, that's for sure! How do you enjoy the garden? There are actually several flowers there that are the very last of their kind. Some of them are quite ancient," Twilight smiled, still deflecting crumbs. Derpy then started to move away and in her place was Pinkie Pie, the energetic party pony living up tp her billing as she gazed- or something more Pinkie- at the success of a plan partially of her own making. "Mareoke? Ha, well, I might have to pass on that one. Even as a Princess I don't think my singing has improved any. And I'm having a great time so far- your party planning is simply the best," She nodded and laughed, "and I hope you brought Vinyl in that dress. I know I hate it when I forget ponies in the folds of my other dresses." And Mr. Waddle complimented her. He was certainly a nice elderly stallion, which wasn't all that strange but considering her Granny Smith was in the same category she was just pleased that he wasn't as energetic as her! "Well, I don't live here, per se. I have my own quarters for when I come, but I still live in Ponyville. I trust you still visit my library, Mr. Waddle?" Applejack looked very nice in her new gala dress. Twilight had wondered how she'd dress up should she have no great designer hovering over her head telling her what to wear. More importantly, nopony in Equestria was as great a caterer as she and Twilight punctuated that fact as she levitated a fritter and chowed down. "Hmmm, that's good, Applejack! I'm doing well so far, having lots of fun even if my hoof hurts after all that shaking!" She finished the fritter, wiping her mouth, "I'm so happy you could cater for this event. It wouldn't have been the same with anypony else," Twilight nudged her friend back. When she had started coming up with the plans, she knew she had the best ponies possible involved, "Rarity, I can see your dresses everywhere! I guess your pre-gala sale went as well as you imagined?" Pinkie Pie's attention went everywhere at once, which meant business was going normally! She slapped Mr. Waddle heartily across the back, sticking a party horn between his lips. "Hiya! Wow, it's nice to see you're um...still kicking! Hey, you smell kinda like alfalfa soap! Neat!!" She grinned awkwardly, pressing her cheek to Derpy's. "Miss Hooves! Oh my, oh gee, I'm so, so excited you're here! You'll be happy to know we managed to repair most of Sugarcube Corner's windows! No no, don't worry about it; most of the flowers in front are growing back, too! I was out gardening with Pumpkin just yesterday! Oh my, you have a lovely dress! Say, do you like zucchini?" The pink mare waved excitedly as Rarity and Applejack approached. Her first impulse was to immediately give Rarity a big, squeezy Pinkie Pie hug, but she knew (from past experience) that her friend needed as much special, personal space as possible when she was in her element of high couture. She gave Rarity a dainty hug, avoiding her neatly braided mane-do, her makeup, and most importantly, her dress. "Yay! You're here! You can see I loved your dress so much from last Gala, it needed an encore! Hip hip, hooray!" She spun around jauntily, narrowly missing a tray full of bubbling cocktails from a passing server. Pinkie Pie jumped Applejack, giving her the best, squeezy, tight earth pony hug she possibly could. AJ was a tough mare. She knew she could take it! She lapsed into a fit of giggles as her friend asked her about a DJ in her dress. "Whaaaat? You mean you don't carry stuff in your dress? I packed everything in this dress but a DJ, I'm afraid!" She grinned, lifting the hem of her dress high and shaking the pink folds of supple cloth. A bowling ball bounced out, followed by a toaster, a pack of crackers, several beach balls, several pairs of earmuffs, a box of confetti, a half-eaten cupcake, a ball of string, her pet alligator, Gummy (who immediately latched to the end of her poofy pink tail), a can of silly string, and a brick with a square drawn on the front in chalk. She shook her dress again, as if expecting something else. She curled her lip, jerking her dress hard. A rubber duck flew out, right into a bowl of apple punch! "Ahah! There it is! Hm, maybe my DJ is hiding in my hat?" Pinkie Pie blinked, as if noticing Twilight for the first time. She wrapped her arm around her head, yoinking her neck under her armpit as she waved her other hoof in the air. "Pfft, I'm sure you'd be great singing something!" Jade beamed at the princess, "Oh I know!" She exclaimed. "I wish some weren't so rare! I'd get samples, and they'd make the loveliest smelling lotions and perfumes, some of them!" She sighed a little. What she wouldn't give! "In... her.... dress??" Jade couldn't quite grasp the concept of hiding another pony in her dress's ruffles. The grey mare seemed to be leaving, and the spray of mushed muffin left with her. But... ugh, what was that stench in the air?! As Pinkie Pie pressed her cheek against Derpy’s, the pink mare excitedly chattered on about how Sugarcube Corner was recovering from a certain “accident”. Apparently, somepony with a set of googly-eyes came up with the brilliant idea to use not just one of the nifty megaphones to get ponies’ attention, but five at the same time in a ploy to make themselves sound louder. And the plan worked… too well for the front of Sugarcube Corner, sadly. For Miss Hooves part, she resolved to only use four megaphones next time she needed to speak out loud. It’d definitely make sure that sort of accident never happened again! "Good evening Miss Rarity, you are looking as stylish as ever!" "Miss Rairty! Miss AppleJack! Delighted to see you both!" 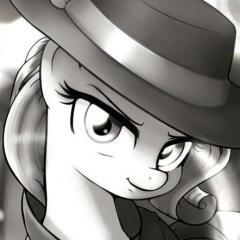 Rarity smiled as two Ponyvilleians approached her with greetings just as Applejack had appeared. She recognized the two, and on instinct took a few cautious steps back from the unkempt Pigpen as she did. For better or worse, it really did say something that even somepony as unhygienic as him would be granted access to the Gala this year. Still, the kind greeting and compliment made Rarity keen to make efforts not to react too poorly to the messy stallion. "Thank you, darling. I always do try and look my very best," she said to Pigpen before then nodding to his elderly friend. "And the same to you Mr. Waddle. It's a delight to see so many from Ponyville turn out here to enjoy all that the Grand Galloping Gala has to offer!" "Rarity, I can see your dresses everywhere! I guess your pre-gala sale went as well as you imagined?" Rarity giggled and nodded at Twilight's all too kind comment. She had noticed the same as well. It was so satisfying to see ponies wear her styles and to see so many wearing them there at the Gala just made her beam with good cheer. "Indeed, it was a resounding success, and it's all thanks to you, Twilight dear! With the decision to open the Gala up and so many ponies so eager to attend and meet the new Princess, I had more eager clientele than ever I could have imagined for an event like the Gala," Rarity said excitedly, nodding a few times for emphasis. "Yay! You're here! You can see I loved your dress so much from last Gala, it needed an encore! Hip hip, hooray!" The unicorn returned Pinkie's small hug with a smile. She was glad to receive a gentle non dress disheveling hug between friends instead of something more akin to that "hugnado" she had been bombarded with not all too long ago. It was good that Pinkie was starting to--on occasion--figure out how to show at least some manner of restraint when the situation called for it, even as she still remained so genuinely Pinkie. "It suits you very well, darling," Rarity said, nodding at the dress the pink pony was wearing. "However, if you ever feel you want to show up to an event in something new, don't hesitate to ask! It'd be a delight to design an entirely new ensemble for such a dear friend." 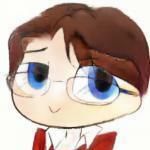 Timid Star gracefully returned to his normal posture, grinning at Twilight warmly. He felt Sweet Surprise lightly hug him as he giggled softly at the inquiry. "Yeah, I just got here, Princess Twilight. I'm enjoying myself and its great to see a few familiar faces already! ", he replied cheerfully, returning Sweet's hug and noticing Pinkie Pie promptly entering the cluster of ponies and grabbing some of the spotlight. He couldn't help but laugh at all her antics as he turned to face Sweet Surprise. "Yeah, it's been a while! I've been in Ponyville at their school as part of an extended student exchange program! It's actually the quiet I really needed to be quite honest. I really need to come back and get fudge more often actually! ", he gushed to her with an excited grin. He paused to catch his breath and eat his cookie, savoring the exquisite taste. As he swallowed, he noticed another familiar face approach and greet Twilight like old friends would. And an Earth mare with a quite familiar way of speaking do the same. He knew the white unicorn was Rarity and the other must be Apple Bloom's big sister Applejack! He waved to them both as they commiserated and greeted each other. The grey Pegasus was another familiarity considering her penchant for accidents that were more humorous than harmful, it was Derpy. He never really met her in person but word gets around about her, he smiled at her and let himself get used to all these ponies around him. Unobtrusively, he got a little closer to Rarity, Pinkie, and Applejack. "Hello, Pinkie! Hello, Miss Rarity, it's been a long time. I'm that colt from the Wrap Up, the one who took a bit of a header from a juice stand and was involved with that whole bear business. Oh and hello, Applejack! How's Apple Bloom doing? I'm one of her classmates at school, you can call me Timid Star or Timid if you want to. ", he introduced himself with a grin, filled to the brim with excitement! He could almost fly out of his suit and it would stand up on its own, he was that excited to be here now. He would definitely have something to write home about now! Celestia was always a busy mare during the Grand Galloping Gala, and this year was no different... Well almost no different. Celestia's schedule was still full acting as host and greeting every pony. However opening the Gala to all and creating a better and more fun atmosphere for more ponies, and not just the social elite. The dance hall was opened to the public and a popular DJ was hired to make it the place to be to have a good time. Celestia made her way to the dance hall, and it's food table... Even rulers get hungry after a long day. Celestia made her way to the snack table where she noticed many ponies she knew. Twilight, Apple Jack, Rarity and Pinkie Pie, just to name a few, who were always willing to help whenever she asked, no matter the task. She approached the group. "Greetings everypony, I trust you are all enjoying yourselves." Celestia greeted the small group as she looked at the snack table and noticed some cake. She levitated a piece over and started taking small bites from it. Mr. Waddle was stunned that Pinkie Pie patted him on the back and shoved a party horn in his mouth. Of course, Mr. Waddle didn't mind, this was typical Pinkie Pie behavior so he tooted the horn a few times before removing it. He and Pigpen then acknowledged the greeting they received from Rarity. "That's very kind of you to say," the shaggy stallion said, "if you sell guy's fashions, I'd like to visit your shop someday. They say clothes make the pony, so perhaps it's time I got a wardrobe." "Thank you, Miss Rarity," Mr Waddle said as he waited for a response from AppleJack. When Princess Celestia stepped into the room, both ponies bowed and then Pigpen darted over to the regal white furred Princess. "Princess Celestia, this is an honor for me!" the unkempt stallion neighed excitedly. "I was delighted when both your sister and your neice visited my humble antique shop. I have to ask, was the crown I found and gave to them THE real ancient crown of Princess Platinum? I wasn't sure if it was authentic, but whether it's genuine or not, I am proud to have donated it to the Canterlot Museum, your majesty." "Hello, Surprise. I see you're having a good time! How are your parents?" Sweet Surprise resisted the urge to giggle like a filly when Twilight Sparkle spoke to her. The young mare's fantasy of being a Princess's royal confectioner had not been lost in her mind, despite being comfortable with her current job working at Mr. Cocoa's Candy Confections. "Oh I having a great time! Oh my parents? They're great. I actually visited them in Manehattan a week ago. How are your parents?" The chocolate brown stuffed a chocolate brownie in her mouth as she watched the pink pony empty things out of the folds of her dress. She quickly dodged the bowling ball as it rolled off the table, but she wasn't so lucky with the beach balls as one smacked her in the face! Rubbing her nose, she kicked the ball under the table, out of sight and out of mind. "Wow! That's a neat trick! That's kind of like my saddlebags, always having things that I need, mainly my emergency fudge. Actually tonight I decided to do something new, something I'm sure no pony has tried before. My dress is made entirely out of candy! The fabric is taffy, the thread licorice, and see all these candies?" She plucked a spearment star from her dress and popped it into her mouth. "Yep, they're real too! Thankfully it's cool in here or else my dress might turn into a sweet gooey mess! Er... I'm not sure that Canterlot fashion will accept the Candy Dress as an it fashion though." Sweet listened as the colt told about his change of fortune. She was glad to see the pony so happy and remembering her yummy fudge she gave him to cheer her up. "Well I'm glad you're doing super well. Actually I have a candy cart here at the gala, so if you want some fudge you can feel free to stop by." Sweet Surprise was surprised by another pony, this time Princess Celestia. "Hello Princess Celestia," she said with a bow. Carrot Fields was surprised when his friend and neighbor, Applejack, asked him if he would attend the Grand Galloping Gala with her. He had actually attended to Gala once before, but only because he manage to win a 'golden ticket' that allowed him to. At the time, he ruddy maned stallion never thought he would have another opportunity to attend the prestigious event so he went; now circumstances have proved different when Applejack explained this year it was open to all in celebration of the coronation of Twilight Sparkle. Even if Carrot knew the event was open to the public beforehand, he likely wouldn't have gone back, feeling as he did, that it was a stuffy upper-crust affair; here he was though in the main dance hall with Applejack and several other ponies. Why could he never say no to the mares? Why is that even a question? On top of attending he also was wearing the fanciest getup his sister, Purple Haze, could muster - a kilt in his family's tartan, mainly shades of green with thin orange lines throughout with a sporran dangling in front of it, black leather with shiny silver decorations. He also wore a loose, laced white shirt and a baggy cap in the same tartan as his kilt, with a couple small, fuzzy white feathers decorating it. He felt the outfit was ostentatious personally, but Purple was insistent he was show the family colors in this way in order to "show our Fet Loch pride". At least this time he hadn't gotten any sarcastic comments about the kilt.. Yet. Not being all that comfortable, he decided to at least make the most of it and made the mental goal to at least get one dance in. Hopefully Applejack would be willing, if he could actually work up to courage to ask her. It was this thought that made him rather oblivious to what was going on around him until Applejack addressed Twilight Sparkle… Princess Twilight Sparkle. The gray farmer stallion had never seen royalty before outside of a great distance as part of a crowd, let alone be introduced to one of them. What was he going to say?!? Applejack was so informal and casual towards the lavender alicorn, but they knew each other. No way he could do the same, but he couldn't just stand there like a dumbtail. Oh Luna, why did she have to be so cute too?! Carrot Fields stepped forward with a huge, embarrassed blush on his muzzle when Applejack introduced him, "Awrite twi- Ah mean awrite yer royal highness…." Highness was good, yes, you supposed to call her that? "Mah nam is Carrot Fields" Ack! Dumbtail, Applejack already told her that! Oh, bow you dumbtail, bow! In undoubtedly what was an awkward stance, Carrot quickly bowed before Twilight, "er umm, Ah mean it is a pleasure tae finally meit ye princess… er highness, yer highness." How can this be any more embarrassing.